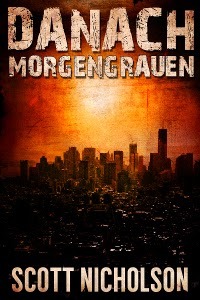 HINWEIS DES AUTORS: Es handelt sich hier um eine kurze Prequel-Novelle zur postapokalyptischen Danach-Reihe. Die darin geschilderten Ereignisse spielen sich vor Band 1 (Der Schock) ab. Die Lektüre ist jedoch keine Voraussetzung für das Verständnis von Band 1. Q: What will e-readers like about your book? Joseph's story unfolded through her eyes. one of the most exciting historical places and eras: Ancient Egypt. Q: Why did you go indie? crossed them off as non-responders - not interested, no reply. the book blurb, cover art, and even the trailer. Q: Who are your favorite authors in your genre? and Gilbert Morris in Biblical fiction. 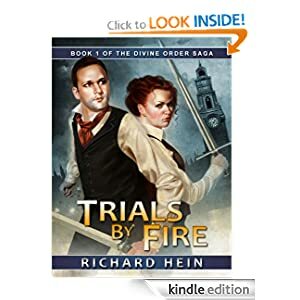 Richard Hein was born in the Pacific Northwest, though he spent some time living in Wisconsin and Illinois before moving back to Washington with his family in 1987. He’s lived in the scenic Skagit Valley since then. Interest in writing began early by writing stories for his classmates in Kindergarten, winning a young-authors award in the Sixth Grade, and spending much of his high school classes writing instead of learning. Richard spends his days as a server administrator and website programmer, working on writing and prolific reading in the evening. Daron struggles to fit into a world he doesn't fully understand and fight to keep humanity safe, while delving into Leah's difficult past. With the fate of the kingdom at stake, he has to trust in the gods, but all is not as it seems. Q: What will e-readers like about your book?It's a different take on traditional fantasy. Rather than the eternal standard of a medieval-Europe world, it's a world with Victorian-Era technology, and a plot reason for it. There's still familiar settings - swords and sorcery, epic fights and character-driven plots, but with a new and fresh backdrop. Q: Why did you go indie?I quite enjoy the challenge and reward of seeing this through from start to finish, on my own strength and determination. It's about taking something I love and carrying it on my shoulders, and Indie publishing really helps me set the tone for that. Q: Who are your favorite authors in your genre?Brandon Sanderson, by far. If we're limiting it to the genre I'm writing, I'd also have to say David Eddings - it was his fantasy novels that got me into reading the genre in the first place, and always has a special place in my heart. Darian was born in South Carolina , but raised in Michigan , where she still lives today. In 2005, Darian married her best friend, Steve, and has two kids. She worked on and off throughout her twenties as a Home Health Aid to the elderly, but preferred to stay home and raise her babies. n 2007, her mom was diagnosed with ovarian cancer, and Darian quit working to tend to her mom. It was i n t hose three years of taking care of her that Darian realized how precious life really is. And in her moms last year of life, she finally had the courage to pursue what her heart had always secretly longed for; becoming a writer. It was the n t hat she started her debut novel, Love Unfinished, and continues her journey today. Two soul mates from the past leave their love unfinished when a tragic car accident ends their lives o n t heir wedding day. Yet they are destined to meet agai n t o fulfill that love in new incarnations, leading vastly different lives. 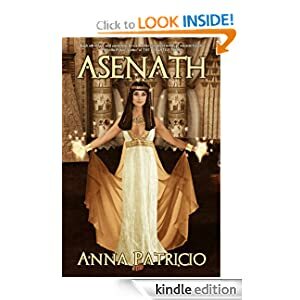 Emma thought she had chose n t he right path, but too late does she realize her mistake as her husband reveals the monster hiding behind his smile; morphing her fairytale ending into loveless obligation. Trapped in a broken marriage to a powerful, abusive husband, she knows this is not the life she was destined to live. As her hope for love withers, she meets James, her love from a lifetime ago. Emma cannot deny the love pulling her toward James, but courage to abandon her marriage wavers and unknowingly leaves her life o n t he line. If Emma has any hope of life and love, she must trust the bond with James and be with the man destiny has spent two lifetimes guiding her toward. 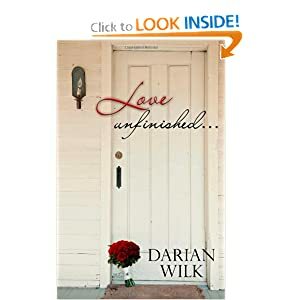 Are they fated to fulfill their love, or will they once again, leave love unfinished? One of the great things about women’s fiction is that you can have a love story without the flare of a traditional romance novel. I offer a love so true that it carries two people into new lives and draws strangers together. But being true to the genre, it’s not without challenge or character growth. Emma is already married, and her soul mate from her former life is divorced and determined to never trust love again. Their story not only tests the strength of love, but tests the boundaries of people’s beliefs and morals, and how far they’re willing to push them for the sake of love. I was amongst the thousands of writers out there, fingers and toes crossed that my query was snazzy enough to pull me out of the slush pile and into the maybe. I played the query, wait, full submission, wait, revise, wait again game. But of course I had read everywhere that self-publishing was o n t he rise, but the thought of trying it never crossed my mind until a friend asked me when I would put my work on Kindle. I started doing research, lots of it. I am a woma n t hat likes to be in control, being in charge, I like holding the power of my future in my hands. The more I researched the more I realized self-publishing might be a better fit for me tha n t raditional publishing because of that. I’ve said it before, and I’ll say it again, I love Anne Tyler. Her ability to make characters seem so real, so much so that they start to feel like they’re real people, I think is a talent that in many ways still goes unchallenged. Her characters are flawed, people with issues like the rest of us have, they break and they triumph, resist and grow. I’ll buy any book of hers without even reading what it’s about. And an author I’m curious to see what she does next, is Kathryn Stockett, author of The Help. The time and care she put into her novel is to be admired, and you can see that clearly in her writing. Her ability to make you feel an entire range of emotions, well, not many authors can really make you feel. Gerry McCullough is a long established short story writer, winner of the Cuirt International Literary Award in Galway in 2005. She was born and brought up in Belfast, Northern Ireland, and now lives in County Down. She is married to author and media producer Raymond McCullough, and they have four children. 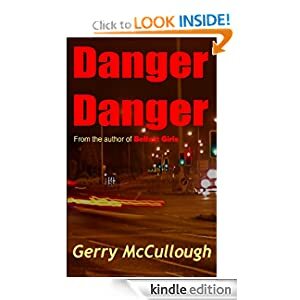 Danger Danger is the second book by Gerry McCullough, following the very successful Belfast Girls which has been selling widely on the Internet. Q 1. I think eReaders (like most other readers!) like a book to be fast moving, easy to read, and with characters they can like and relate to and a plot with lots of action. This is pretty exactly what reviewers have said about Danger Danger. Several have commented that they had to stay up all night to finish it, that it's 'unputdownable,' and that they immediately felt a warm sympathy for the two very different main characters, and couldn't stop reading on until they found out what happens to them. The book has only been out a few weeks, and already has 7 glowing reviews on Amazon, all 5 star (and not from my family!) so I think I can honestly say readers are loving it. Q 2. I went Indie because for years I'd had no success in getting one of the major publishers to accept my first book, Belfast Girls. Perhaps because the book is set in Belfast, and is boxed into no particular genre, they consistently rejected it, while praising the writing. I'd had around 50 short stories published and knew the problem wasn't with my writing skills. The fact is that in today's market the major publishers are very reluctant to accept anything unless they are sure of huge sales – the bottom line approach. Celebrities, or writers with a proven best selling record, are what they mainly want. That's why Indie publishers have emerged – to fill the empty niche in the market. I was very happy when I got an offer for Belfast Girls from the small Indie publisher, Night Publishing. Since Belfast Girls went on to considerable success, selling in the thousands before it's first year was up, I was encouraged to publish Danger Danger myself, under my husband's brand Precious Oil Publications. It's good, also, to have complete control of your own book, and not to have to edit all the individuality out of it. Q 3. My genre is romantic thriller, particularly in the case of Danger Danger. My favourite writers in this genre are Mary Stewart, Patricia Wentworth, Agatha Christie in her non series books, Sarah Caudwell, Dorothy Dunnett in her Dolly series –maybe I should stop there, but there are many, many more, including the brilliant Anne R. Allen, an Indie writer I've discovered recently. Talli Roland has three loves in her life: chick lit, coffee and wine. Born and raised in Canada, Talli now lives in London, where she savours the great cultural life (coffee and wine). Her debut novel, The Hating Game, was an Amazon Top 100 bestseller and shortlisted for Best Romantic Read at the UK’s Festival of Romance, and her second, Watching Willow Watts, was selected as a 2011 Amazon Customer Favourite. Build A Man is her latest release. Talli blogs here and can be found on Twitter here. Ever wanted to construct the perfect man? Ambitious tabloid reporter Serenity Holland has the chance to do just that . . . until it all goes horrible wrong, and she must choose between grabbing a chance for her dream job or following her heart. 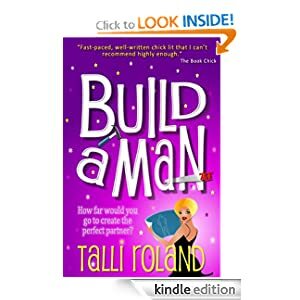 BUILD A MAN is chick lit with attitude. I’ve had two books traditionally published, and I decided it was time to take control. I love the ability to set my own timelines and write novels I’m proud of. My favorite authors in my genre are Sophie Kinsella and Susan Elizabeth Phillips. Born in East Kent in 1970, Martin was educated at the University of East Anglia... but unlike many more famous writers didn't study Creative Writing there or do "The MA". A career in IT followed, and continues to pay the bills. In 2007 Martin made a hesitant return to fiction, not having written remotely seriously since his student days. He returned to UEA too, and took a diploma in Creative Writing. Martin's stories have appeared in Unthology No 1, Streetcake magazineand Alliterati magazine, whilst three poems have appeared in The Artillery Of Words magazine. He is currently working on a novel-length work, Drawn To The Deep End, and, as an experiment, is publishing the first draft, unedited, in weekly online instalments. 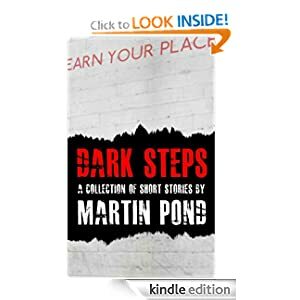 Martin's first collection of short fiction, Dark Steps, was published in August 2011. Short, punchy tales of the unexpected with twist endings! These are unsettling stories rather than horror per se, and deal in the darker aspects of everyday life. 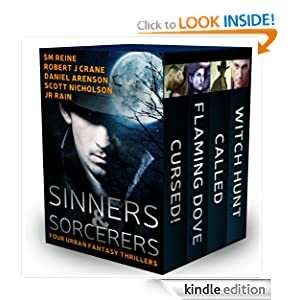 E-readers who enjoy the short fiction of Stephen King, David Morrell and Dean Koontz will find something of interest here. Having had some success with getting short stories published in books and online literary magazines, I wanted to capitalise on that momentum. Going indie enabled me to do this quickly, whilst retaining full creative control over every aspect of the resulting book. It's difficult to pigeonhole my stories into any one genre - they're not horror, they're not mystery. I've heard them called psychological horror and, plain and simple, tales of the unexpected. My favourite authors in these genres are Stephen King and, on the basis of the excellent collection "Black Evening", David Morrell. Thanks for being part of the Indie Village.